This week, SEZAD floated the tender on implementation of fishing port in Duqm for the international companies specialized in this field and local companies of the first grade or higher. 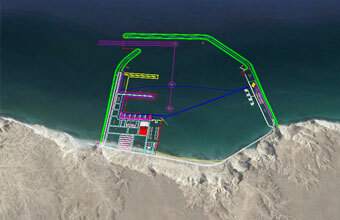 The fishing port in Duqm is the largest of its kind in the Sultanate with an area of 600 hectares. It includes a fish industry area aimed at achieving the optimum utilization of fish resources through the establishment of a group of specialized fish manufacturing and canning facilities. SEZAD set 26 January as the date for the companies wishing to know more about the site to visit the project site. The companies may also receive answers to their inquiries about the project through contacting the Department of Contracts and Tenders during the bidding period, which shall last until 8 March. The establishment of the fishing port and fish industry area in Duqm is part of the Sultanate\'s efforts for economic diversification. It aims to provide more job opportunities for the citizens, and stimulate economic activity in Al-Wusta Governorate, increase the yield of available fish resources in the country. This is part of taking advantage of the strategic location of Duqm as a promising economic and investment area that has a multi-purpose port, an airport, highways and a railway underway, which would contribute to the revitalization of SEZD. The port includes wave breakers with a total length of 3.4 km, a fixed pier for fishing purposes of 850 meters, and a fixed pier for ROP of 50 meters. Project works shall include deepening the harbor basin up to 6 meters, land reclamation to establish port service buildings. They shall also includes a tourist area with a wharf, floating berths, 5 floating moorings for fishermen with linking bridges, a floating marina for Coast Guard, in addition to a crane for boat maintenance, slider to boats, marine services and facilities, service buildings, internal roads, parking lots and maintenance and repair workshops. The fish industry area in Duqm shall include 60 fish manufacturing facilities, cooling and freezing stores, and ship maintenance and repair workshops. The area aims to encourage fish farming, attract projects that add good value to SEZD, conduct research on fishery sector development at an equipped research center in addition to various qualification and training centers.